Having ambitious goals for your team is great, but you need to be sure that what you are asking of them is not completely unrealistic. The reason for this is that it can be very demotivating for employees to not meet goals or fulfill the requirements you set for them.Motivating your team to reach for the stars is great, but it has to be within reason. This statistic is quite disappointing, especially since recognition is the catalyst for motivation, which is what keeps your team productive.We learned to say “thank you” to strangers who do so little as hold the door open, so how is it then that there is so much neglect in thanking the people who day in and day out put their all into making their managers proud and company successful?Employee appreciation, when done right, will help increase productivity, engagement, team morale, and therefore retention. Recognizing your team should not be confused with empty praise. People work hard and feel proud of their good work. Share in this enjoyment often, and you are sure to see a team of happy, willing employees. It seems obvious enough to say, but in the hustle and bustle of the workday, we sometimes forget that employees are more than just employees. They are also parents, students, caretakers, and potentially many other combinations of roles. People have lives outside of work; hobbies and passions that make them unique. 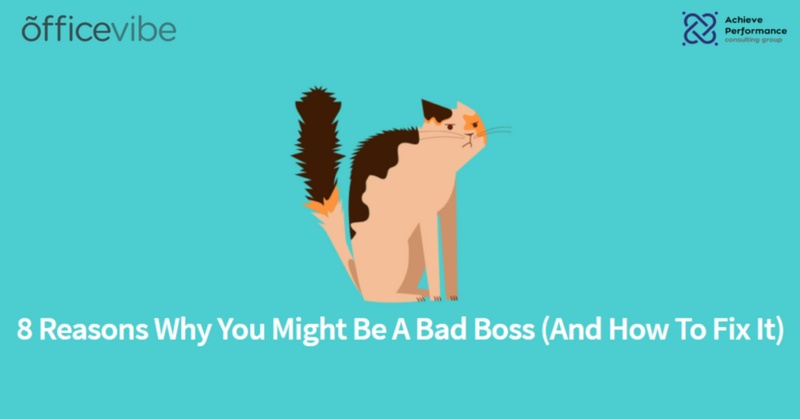 Showing interest in this is one way to differentiate bad bosses from great leaders. Employees want to improve, and in order to do this, they need your feedback, whether it be positive and encouraging, or critical. Not all managers enjoy the feedback process. We get it. It can be difficult to point out people’s shortcomings, but the truth is that they likely want to know. Wouldn’t you want someone to tell if you had spinach in your teeth? Yes, you would. Instead of just pointing out faults, a great leader will also strategize on how employees can improve, setting short term goals and OKRs, as well as offering resources and tools. a. It means simply making it a point to say good morning to your team. b. It refers to communicating respectfully both verbally and in an email. c. It means communicating everything with transparency in order to keep everyone in the loop, and part of the larger picture. d. It also means having an open door policy to let your team know that you are approachable if they have anything they need to communicate to you. It basically means everything to your company. No relationship in the world can survive without proper communication. That’s why continuous feedback tools are so important for companies to implement. It helps employees share what’s on their mind (confidentially), so managers can work on finding solutions. 6. Ask Yourself, Are You Engaged? According to Gallup’s 2015 State of the American Manager, the percentage of managers that are engaged in the US workforce is only slightly higher than the percentage of employees are engaged. So, there is a direct correlation between engaged managers and engaged employees. The old adage, “the apple doesn’t fall far from the tree”, suggests that if a manager is disengaged, so too might the employee be. It’s important as a manager to check in with yourself as much as you check in with your team so you can lead by example. Just because you’re a boss, it doesn’t mean that you are always going to be magically on, happy, and engaged. You’re a person too, and you have needs. If there is something not working for you in your workplace, share your concerns with your own superior and see where you can find solutions together. Be a superhero for your employees, but also for yourself. Employees don’t necessarily quit their jobs, they quit their bosses. 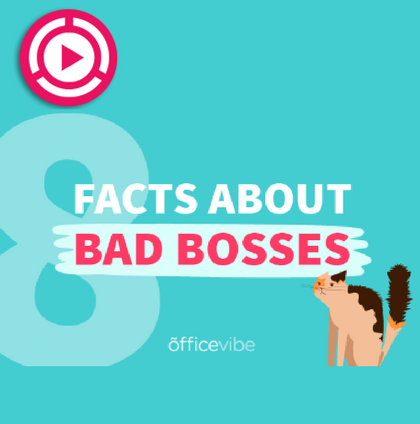 This fact is sort of the amalgam of all the above facts and stats, ultimately suggesting that being a bad boss can result in the grand exodus of your employees. In order to earn their respect, you need to first and foremost be respectful towards them. The relationship between manager and employee is one that requires reciprocity.